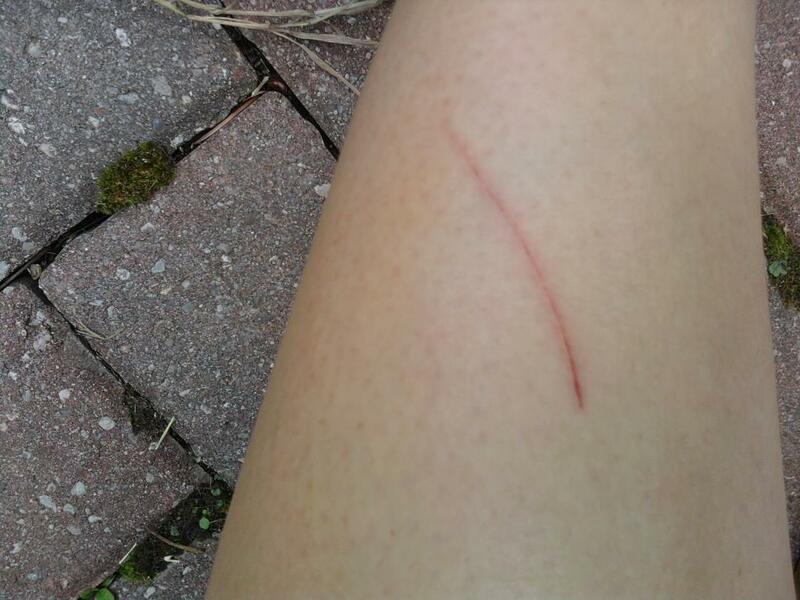 I have no clue what happened to this scratched. I guessed I must have scratched it without noticing it. Oh well, I never noticed this mark until we arrived at my mother in laws house. When I sit outside their porch that was the time that I have felt something painful in my leg. And this is it, I took a picture and showed it to my partner while he was mowing the lawn. Anyways, enough of the issue about what happen to my leg. While sitting on the porch with my mother in law. We came up to the conversation of shiny metals. I shared to her that my mother do love gold metals. I mean, we talked about investments how to find a good thing to invest our money someday. I was thinking about buying gold coins. This kind of investment is really cool because the value of gold coins will raise up in the future. I know where to buy and I truly trust this website. Hopefully, once we get our retirement money we can invest it in purchasing gold coins in the future. sometimes i would experience the same thing.. i'll get surprised i have a scratch..
visiting u here.. i hope u can drop by my blog too..
btw, would u be kind enough to help me putting the share buttons in my blog? (share buttons - FB, mail, twitter?). i already clicked "show" but it is not showing on my posts..